Find places to stay in Santa Clara, CA and other fun things to do. View our list of attractions, activities, events, restaurants and visitor information. 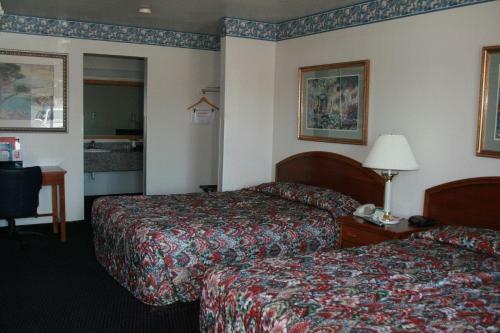 A central location close to the airport and area malls along with free Wi-Fi continental breakfast and rooms with microwaves and mini-fridges make the Americas Best Value Inn a well-priced well-situated deal for our guests. Free Internet, Free Breakfast, Non Smoking Rooms. Plush beds and Great America less than one mile away make the non-smoking Avatar Hotel a special place for guests who also enjoy the free evening wine hour. Free Internet, Swimming Pool,Outdoor Pool, Restaurant, Pets Allowed, Non Smoking Rooms. Currently as low as $63.20/night! Included breakfast and Wi-Fi plus a pool add comfort to the Baymont Inn and Suites Milpitas/San Jose minutes from wineries corporate hubs and shopping.Outdoor Pool, Free Breakfast. A seasonal outdoor pool and hot tub welcome guests to the Bella Vista Inn Santa Clara conveniently located two miles from I-280. Guests appreciate the cable TV and free Wi-Fi in all 66 air-conditioned rooms of this two-story hotel. Free Internet,Outdoor Pool, Pets Allowed. With a complimentary buffet breakfast Wi-Fi outdoor pool sauna fitness room and on-site restaurant the pet-friendly Best Western Plus Brookside Inn has the value-added amenities along with a freeway-convenient location that get our guests' attention. Free Internet, Swimming Pool,Outdoor Pool, Pets Allowed, Non Smoking Rooms. Currently as low as $143.99/night! Free breakfast an all-season outdoor pool and Winchester Mystery House three miles away are reasons to book the Best Western University Inn Santa Clara. The Best Western has 68 rooms in a two-floor building with exterior corridors. Free Internet, Swimming Pool,Outdoor Pool, Non Smoking Rooms. Currently as low as $109.65/night! Free Wi-Fi an outdoor heated pool and Great America two miles away deliver the goods to our guests at the non-smoking Biltmore Hotel and Suites. Set in lush surroundings with gardens and a gazebo the Biltmore has 263 rooms arrayed in two- and nine-floor wings. Swimming Pool,Outdoor Pool, Free Breakfast, Restaurant, Pets Allowed, Non Smoking Rooms. Currently as low as $306.67/night! Offering an outdoor pool gardens and a picnic area Bluebird Suites in Santa Clara is located 10 minutes' drive from Mineta San Jose Airport. Free WiFi is available throughout the property. Free Internet,Outdoor Pool, Pets Allowed. Currently as low as $102.00/night! Cozy suites with full kitchens an on-site convenience store and free Wi-Fi make for a comfortable base of operations at Candlewood Suites Silicon Valley San Jose. Free Internet, Pets Allowed, Non Smoking Rooms. Offering a seasonal outdoor pool Capri Motel is located in Santa Clara. Free WiFi access is available. Levi's Stadium is 5.6 km away.Each room here will provide you with a cable TV a refrigerator and a microwave. Free Internet,Outdoor Pool, Non Smoking Rooms. Easy access to interstates and shopping free Wi-Fi an outdoor pool and hot tub and an on-site restaurant make the non-smoking Courtyard by Marriott Milpitas one of our guests' top choices in the area. Free Internet, Swimming Pool,Outdoor Pool, Restaurant, Non Smoking Rooms. Currently as low as $98.10/night! Offering a free airport shuttle on-site dining an outdoor pool and a fitness center the pet-friendly Crowne Plaza Hotel San Jose - Silicon Valley puts our guests within easy reach of freeways and the airport. Free Internet,Outdoor Pool, Restaurant, Pets Allowed, Non Smoking Rooms. Currently as low as $94.40/night! Close to major freeways and shopping areas and offering complimentary Wi-Fi a fitness room and an outdoor pool the Days Inn San Jose Milpitas pleases our guests with its reasonable rates and convenient location. Free Internet,Outdoor Pool, Free Breakfast, Non Smoking Rooms. Free breakfast free Wi-Fi and easy access to Lawrence Expressway are among the perks at Econo Lodge Santa Clara. This two-story hotel offers 43 rooms with free Wi-Fi cable TV microwaves mini-fridges coffeemakers and hairdryers. Some rooms also have jetted tubs. Free Internet. Currently as low as $135.00/night! Boasting a beautiful tropical atrium a free airport shuttle and an indoor pool the Embassy Suites Hotel Milpitas - Silicon Valley is a popular choice for our guests staying in the area. Swimming Pool, Indoor Pool, Non Smoking Rooms.